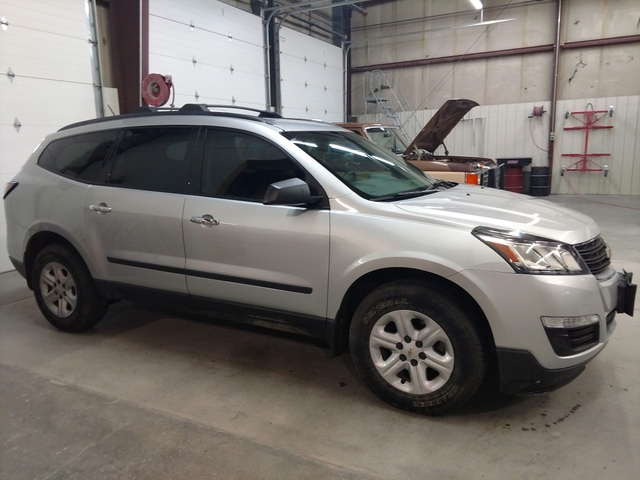 Only 69,727k miles on this one owner SUV and it has never been in an accident and had no issues. 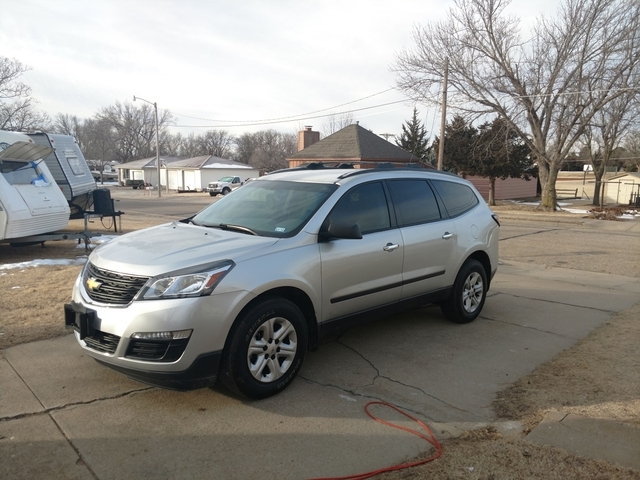 2015 Chevy Traverse LS which means it has cloth seats and I used Auto Scotch Guard on them so the seats are in excellent shape and it helps that I did not have kids and am single so the interior is in excellent shape. Also, I ran a CarFax report so if you want to see it I can email it to you so you don't have to pay for it since it costs $40. I changed the oil at every 5k miles and took care of this and I drive fairly slow compared to most 40 year olds;) so it was not drove hard like many people can do. 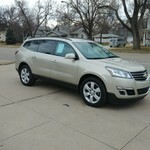 I just bought a new SUV so this is why I am selling it...below book value also as you know. 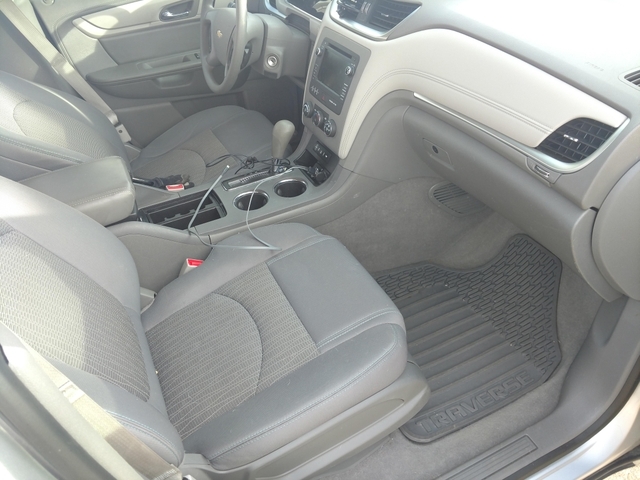 In case you don't know...the Traverse has the largest inside cubit space out of any SUV in its affordable price range. I am 6'2" and you can even sleep two people in the back if you lay down all the seats and you would have plenty of head and feet space. It is really roomy and afforadable compared to the other expensive SUV's that don't even have this large cubic space inside. No issues at all with this SUV and this came with the towing package and it can haul up to 5200 lbs with a tongue weight of 520 lbs. 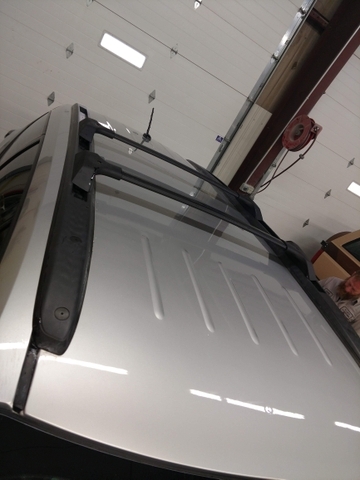 I had the top of the line window tinting done on this and even the front window all have a tint that blocks harmful sun rays from fading the interior and hitting you also. 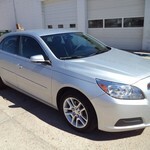 This window tint cost around $400 and I had it done at a Chevy Dealer who outsourced it to someone who specializes in this. 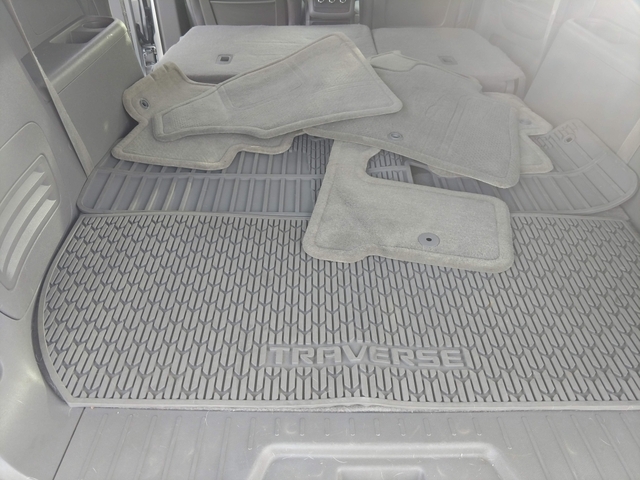 I also purchased for $200 the rubber floor mats which I prefer to cleaning over the cloth ones so both are included. 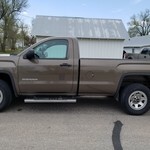 I put new tires on it last year in Oct. and I believe I have only 7k on the tires and they are warrantied to be replaced if anything would happen to them at any Walmart. I purchased the lifetime rotation and wheel balance also so you can get that done whenever you want. I also put on a roof rack in October of last year. Included is the roof storage compartment that costs around $330 with tax at Sears. It is great to store things in this if you have a road trip or free up the inside. I purchased this color because it hides dirt so well compared to any other color. Also, I did get a little bit of light hail which you cannot see unless you really look hard and the car must be spotless to see it and the lighting has to just right. If you purchase my SUV and want my cargo carrier for the roof rack I will sell it to you for $125 since they cost $250 plus tax for new...and I will sell you the StowAway Cargo Box for the hitch that swings out also for $200 since those cost over $700 new. 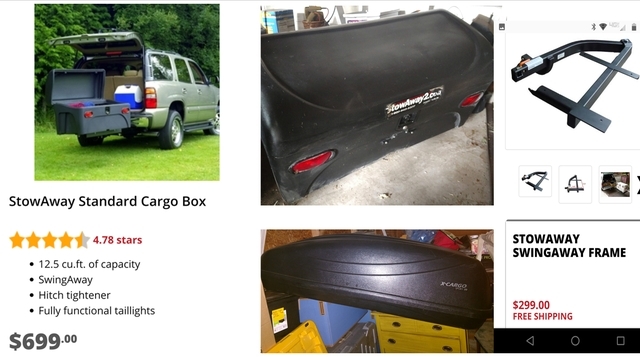 I will only sell those if someone purchased the SUV or I will keep them for myself since you rarely can find the CargoBox used online so most people only buy them new for $700. 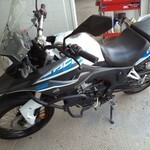 Give me a call if you want this or have any questions...thank you.